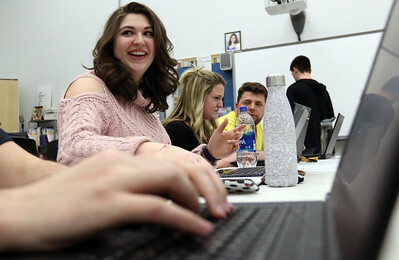 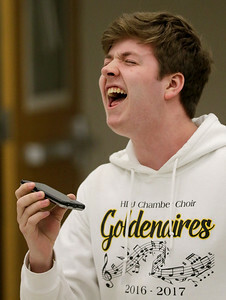 Jacobs senior Ethan Eckhaus belts out vocals to the song "Moving Too Fast" from the musical "The Last Five Years" playing on his phone during auditions for the 24-hour musical at Jacobs High School on Thursday, March 1, 2018 in Algonquin. 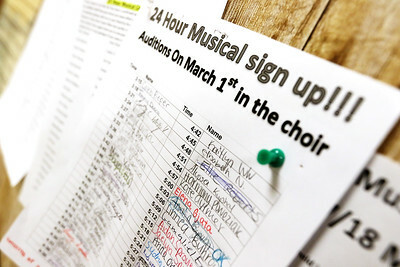 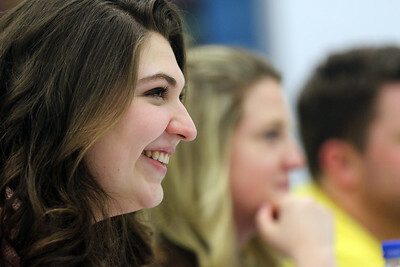 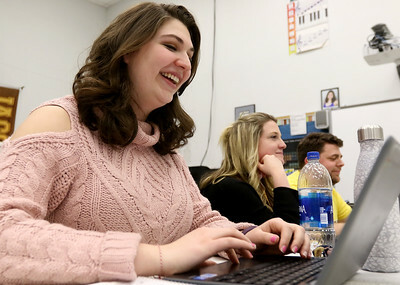 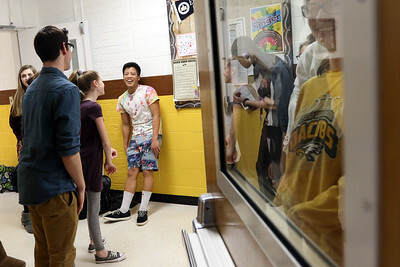 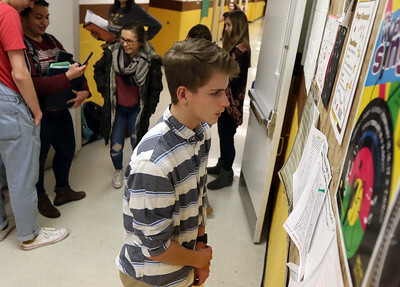 Students have no idea what musical they are auditioning for, but will have 24 hours to learn their parts before performing on Saturday, March 10. 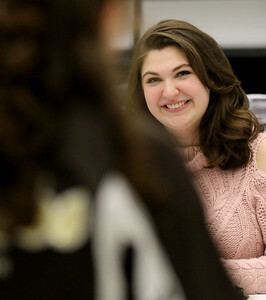 Proceeds from the show benefit Lurie Children's Hospital.